ShelterLogic lives up to the bold promise advertised by their new snow load-rated steel-frame portable shelters: "Maximum features, maximum value." 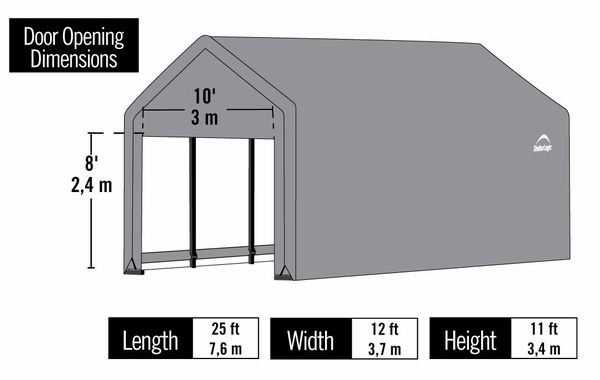 In fact, these ShelterTube steel frame shelters are loaded with weather-resistant components, including a 15-gauge, powder coated steel frame with six supporting ribs for enhanced strength and weight resistance. The cover is no slouch, either, featuring 9-ounce triple-layer ripstop polyethylene material that secures snare drum-tight to the frame. 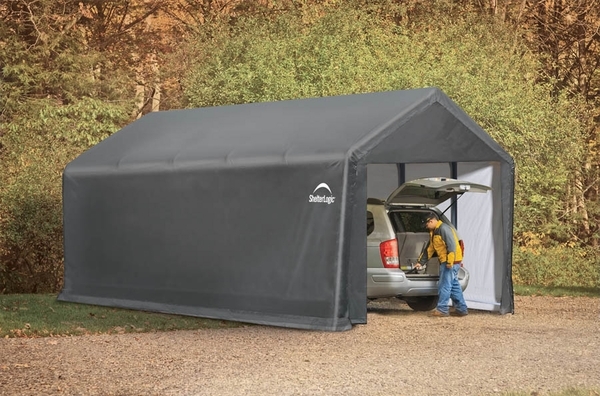 When used with proper precautions (see below), these portable shelters can resist 80 mph winds and 43 pounds per square foot of ground/snow cover. Also available with a green cover.